Level Up Soccer is an indoor training studio. It features over 8,000 sq. ft. of artificial sports turf. Level up is a fun, innovative way to train. We offer 1-on-1, small group training, as well as specific programs for different age groups and skill levels. We have training programs for 3 years old and up. Our “Level Up” TOCA program is fun but competitive, goal oriented, and skills based program that encourages athletes to train hard, train often, and improve in specific areas of their game. Athletes that train will eventually be invited to test out of their current level and attempt to move up to the next. Each Level awards the player with a different color Level Up shirt to signify their accomplishment. 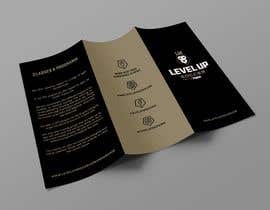 Level 5 will signify the highest level with a GOLD level up jersey to the athletes who succeed in achieving this status. We offer a TOTS program for the lil' guys and girls to get introduced to soccer (2-5 years old). We also offer training groups that are split up by age and skill level that will focus solely on technique and individual skills. We will run numerous different programs throughout the year. We offer numerous classes for a range of ages and skill levels. In our TOT program we offer classes for ages 18 month - 6 years old. We also occasionally offer different programs for position or attribute training. This training includes defending, finishing, first touch, etc. These classes will range from 8 years old and up and will be broken up by SKILL level (beginner, intermediate, advanced).